A massive Davidoff cigar bar, lounge and retail store has arrived in Tampa, Florida—and it's throwing a grand opening celebration this weekend. 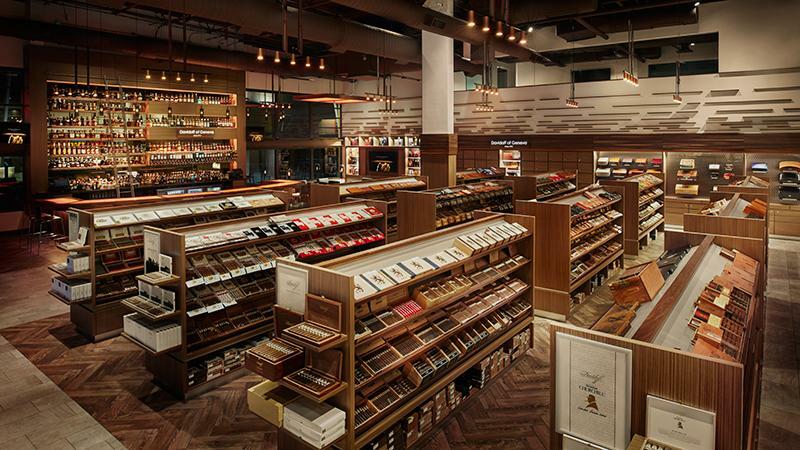 Hailed as the largest Davidoff cigar bar in the world, the 5,000-square-foot location features both indoor and outdoor lounge areas, a completely humidified retail store, private lockers and a full-service bar. The Davidoff-branded location is fully owned and operated by Corona Cigar Co., a retail chain known for its cigar shops and lounges throughout central Florida. "This Saturday we are celebrating the grand opening of our new Davidoff of Geneva since 1911 store in Tampa," Jeff Borysiewicz, president of Corona Cigar Co. told Cigar Aficionado. "We are really excited about being in ‘Cigar City' of Tampa and creating an upscale cigar experience that the cigar enthusiasts of this great city deserve. The response from the community has been tremendous and we are grateful for their support." Located in the MetWest International Retail Village, the new Davidoff bar and lounge had a soft opening in December, but only for its cigar retail area, and it wasn't until last week that the full-service bar officially opened to the public. Now that the site is fully operational, the company is gearing up for a celebratory evening of cocktails, hors d'oeuvres and cigars. The Davidoff Tampa location is open seven days a week, with hours varying by day. The grand opening celebration takes place tomorrow from 7 to 11 p.m.